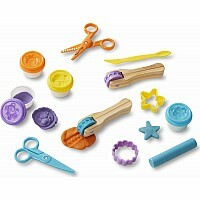 Let the good times roll! 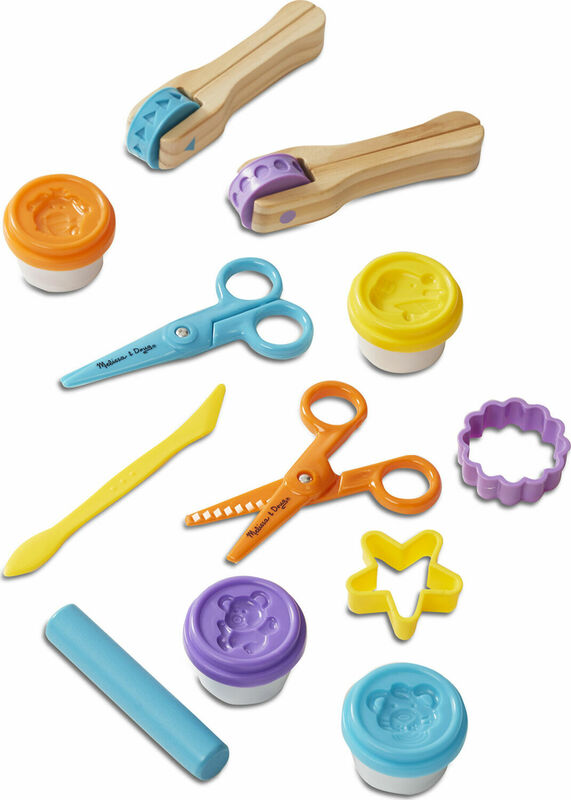 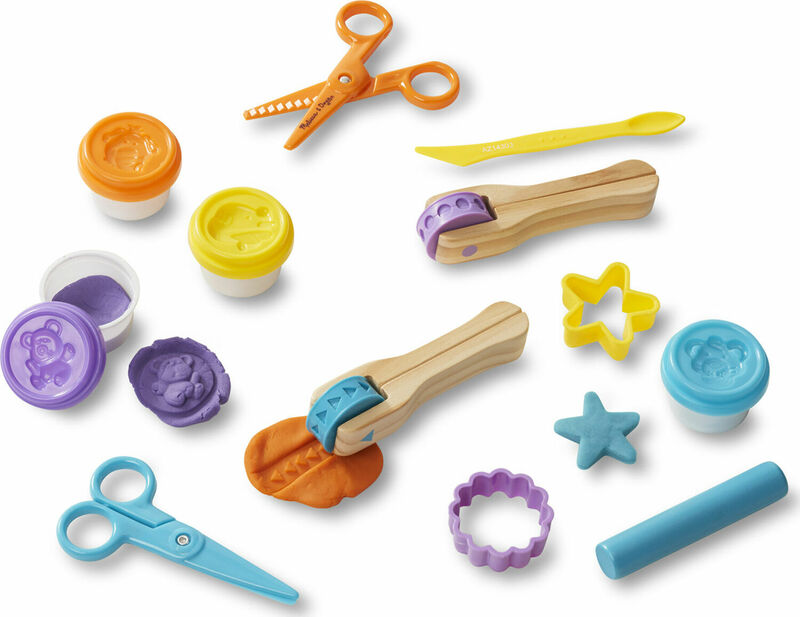 Featuring 8 exciting tools and 4 vibrant colors of modeling dough, this set invites children to cut different shapes with zigzag and straight scissors, sculpt circles and triangles with pattern wheels, and mold adorable figures by turning over the covered tubs and pressing. 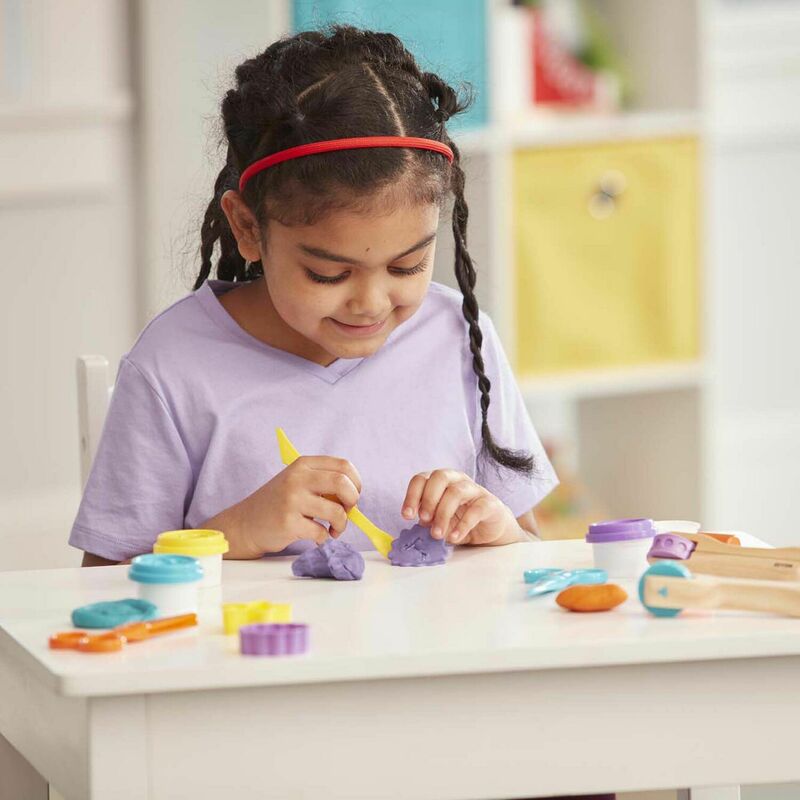 Encourage creativity as well as color and pattern recognition with Cut, Sculpt Roll! 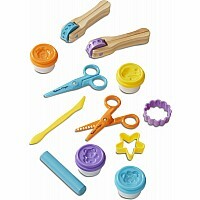 Measures approximately: 1.70 x 9.50 x 9.50 inches..